Your order is backed by our extended 90 day guarantee, so you have 3 full months to try the course risk-free! Get instant access to the step-by-step video lessons. From beautiful ballads to uptempo tunes… Make learning jazz fun and enjoyable. Scales and modes give you a pool of notes to use in your improvisations and solos. 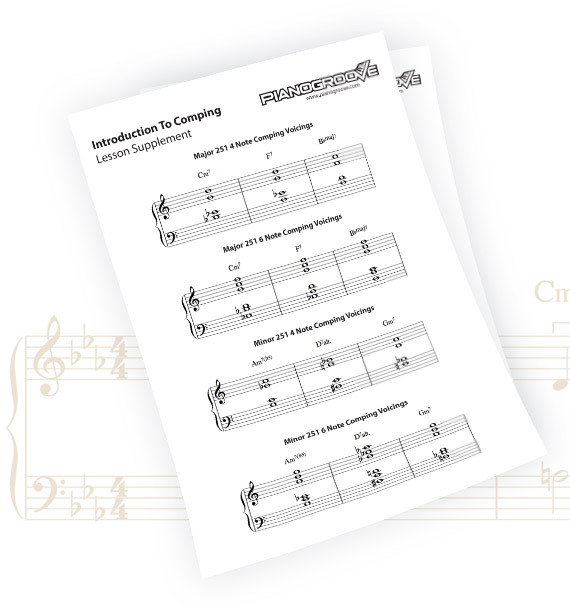 Rich and lush chords are one of the hallmarks of jazz piano – learn them all here! Our methodical, step-by-step approach takes the guesswork out of learning to improvise. Improve your understanding of harmony and make your chords flow smoothly. Understand the anatomy of a walking bass line and learn to walk over your favourite tunes. Remember: “It don’t mean a thing if it ain’t got that swing!” Learn to swing like a jazz pro. Learn the formula to create killer intros and endings for every tune you play. We explore and examine improvised licks and lines from the masters of the jazz world. Play these jazzy Christmas songs for your friends and family over the holidays. Learn the basics by studying the 12 bar blues. Then move onto advanced gospel jazz standards. Master the Bossa Nova groove and play the most popular Brazilian tunes and standards. Study jazz piano online at your own place with PianoGroove’s structured syllabus. Follow our step-by-step lesson plan and become a better jazz piano player. Fast. 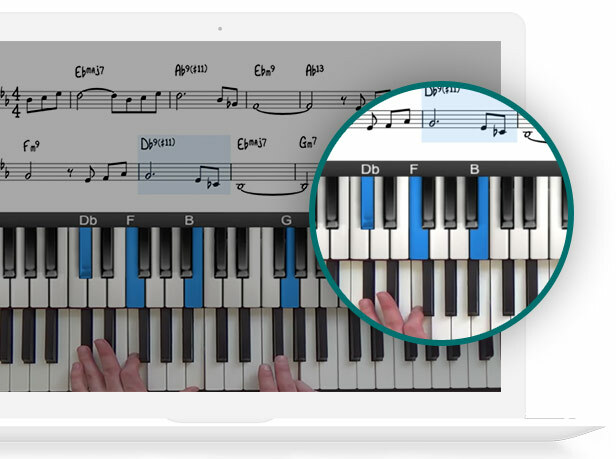 PianoGroove’s jazz standard lessons are the fastest way to learn jazz piano online. We show you how to take a basic lead sheet and create a professional piano arrangement. Our step-by-step syllabus combines both theory lessons and jazz standard studies showing you how to apply the concepts in practice. Our lessons are expertly paced and narrated so that you understand every important concept and how to apply it to the tunes you are playing. Detailed theory supplements, work sheets and cheat sheets will supercharge your understanding of jazz. Most online jazz piano lessons are hard to follow and difficult to learn anything from. Our unique visual layout makes learning easy and enjoyable. 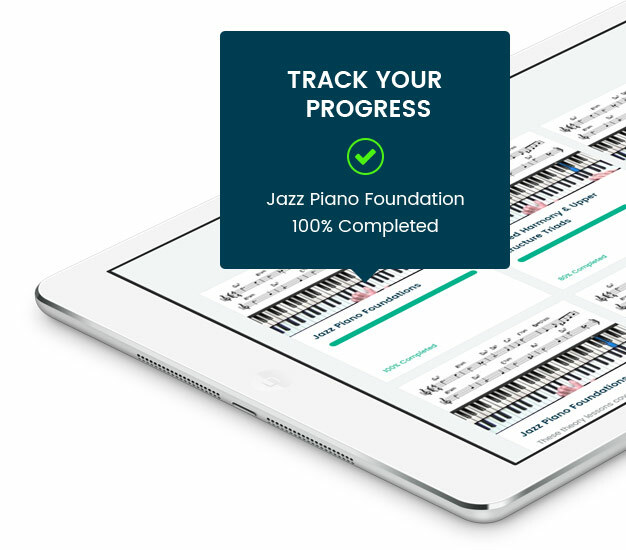 Never miss a note and take the guesswork out of learning jazz piano. Get direct access to our world-class teachers to help you with any material your are working on. If you have a question, we will take time to answer to you detail, with personalised advice and recommendations. Do you have a question about the PianoGroove course? See the list below for our most frequently asked questions. Can I download lesson PDFs & midi files? Yes. Most lessons have a complete transcription and midi file download. You can also download PDF lesson supplements containing the lesson notation and summarising the key points. What is Annual and Monthly membership? Paying monthly is $49 per month which spreads the cost of learning. Annual Membership is $348 per year. This works out at $29 per month so paying annually is a 40% discount on the monthly membership! Can I get a membership for a month to trial? Yes. When you join PianoGroove Pro, you can go to ‘My Account Settings’ on the member dashboard and your’ll see an option to ‘disable auto renew’. This means you will not be billed again. No hassles! Yes. 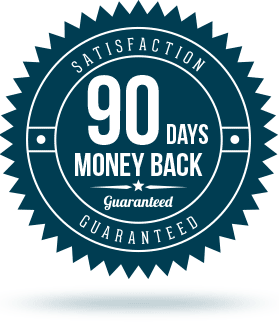 We offer an extended 90 day money back guarantee on all memberships. That’s 3 full months to try it with zero risk! If you are not completely satisfied just drop us an email and we’ll refund your order. Yes. Follow our recommended sequence of theory and jazz standard lessons. The lessons gradually increase in difficulty and are organised into courses. Find your comfortable level & progress step-by-step. I’m new to jazz, is PianoGroove Pro for me? The PianoGroove course has been designed for beginner to intermediate level jazz students. Being able to read music and having a basic knowledge of chords and scales will help, but it’s not essential. We’re so confident you’ll love PianoGroove that we are the only online jazz piano tuition site to offer an Extended 90 day money back guarantee. That’s because we’re confident in our product and we know it works! 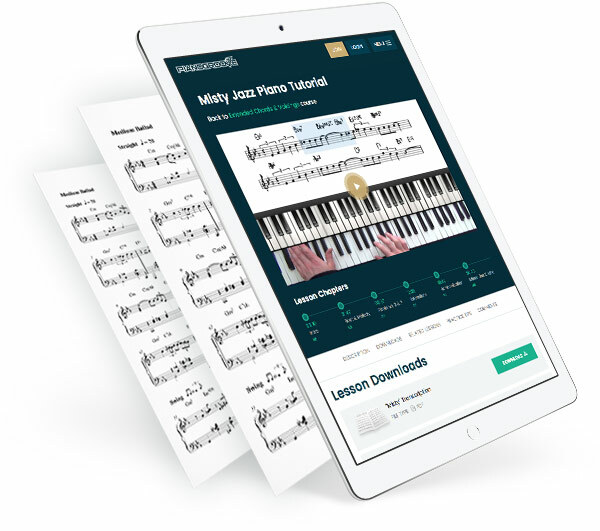 Take the risk out of learning jazz piano online with PianoGroove Pro. Your order is backed by our extended 90-day guarantee, so you have three months to try the lessons risk free.